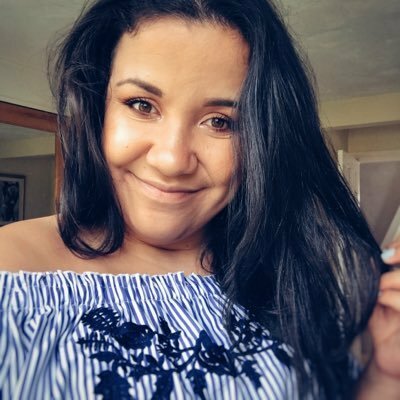 Some of you may know about a week ago now on the way back from 2 months in New Zealand I went to stay with blogger babe Kim as she's currently living in Sydney, Australia! My plane was stopping there on the way back to England and so it was the perfect chance to spend a few days exploring the city and spend time with Kim! One thing about hanging out with a fellow blogger means outfit photos! These photos were taken on the roof of the building where Kim lives isn't it amazing the view?! You can take a read about what me and Kim got up to on her blog here! 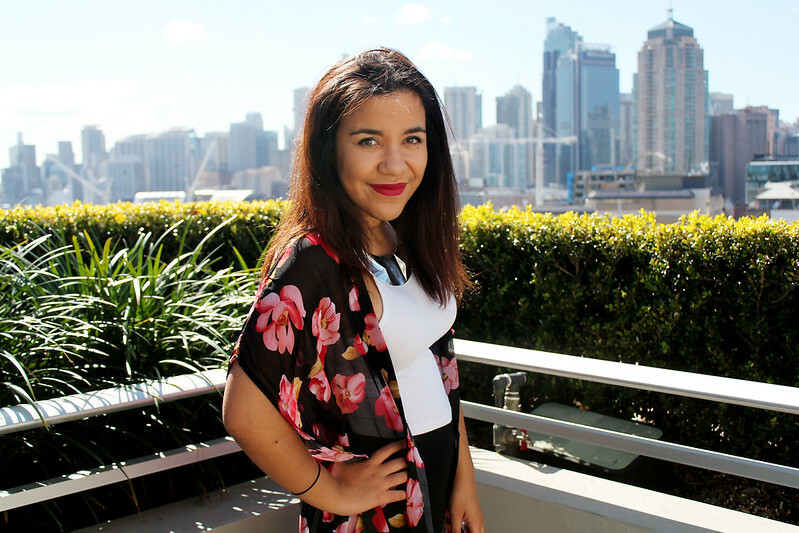 I couldn't wait to where an outfit a little bit more summery as it was such a gorgeous day in Sydney! I absolutely loved wearing this outfit. 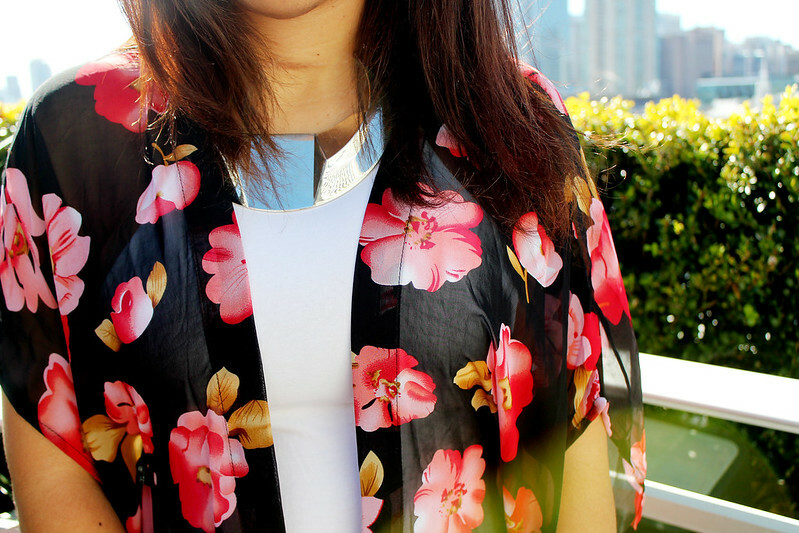 I think a kimono is such an easy way to glam up such a simple outfit. 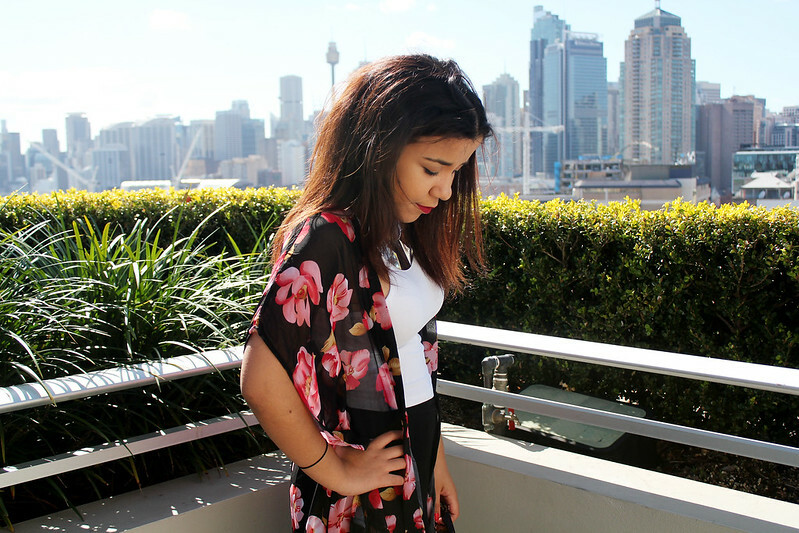 On a sunny day this kimono was so nice to wear! Boohoo have such a great selection of Kimono's in at the moment too and all under £20! 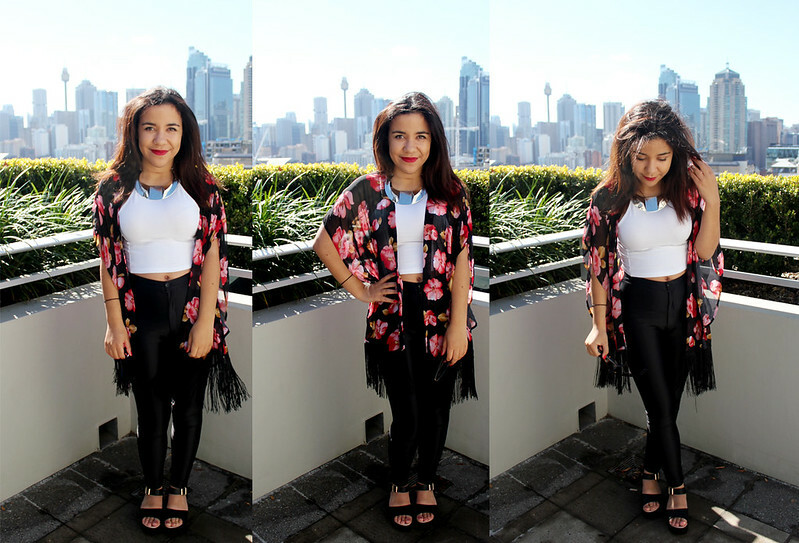 I teamed the kimono with a simple white crop top from Miss Selfridge and my trusty pair of disco pants! I like the blog, great posts and great content. love the outfit love the blog!